We interview Diego Melero, founder of CO.ME project, where he joins augmented reality technologies and cooking art. P: How did you come up with the idea of a cooking book? R (Diego): The project borns due to the personal need of compiling and making a book full of recipes that my mother and my grandmother have been cooking during their life. Thus, under the tittle CO·ME all the ideas that i had about how to make a cooking book a little bit different from the others were grouped up. P: Why a book with Augmented Reality? 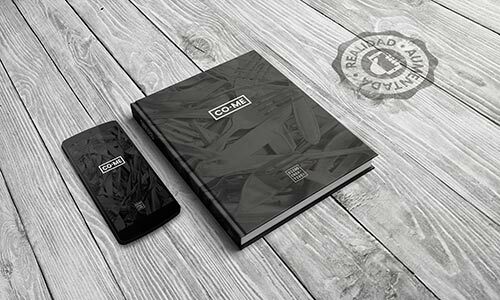 R: Joinning printed ways and technology to extend the information and offer a exclusive Augmented Reality experience to the reader, but without losing the “magic” of printed paper. P: Will books and technology finally make peace? 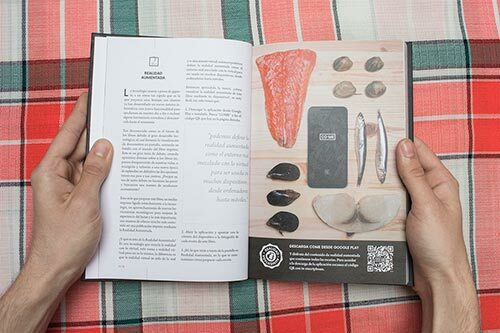 R: This book propose an experience that let readers to interact throught their smartphones or tablets directly with book pages, displaying videos about the making off of each recipe over its photography. P: Who is the book for? R: It is more focused to a young public that don’t know very much about conventional recipes, offering tricks and tips to save time at the kitchen or to raise awareness that cooking everyday, Could be funny! Moreover, the book has been writted in a directly way,being extremly easy to follow the making off of every recipe, because i don´t like literary ornaments, and even less in a cooking book; Else with so much text, your vegetables will burn! P: How many recipes do the book have? R: The book contains 217 pages and 82 recipes, ordered in sections. P: What kind of recipes are we going to find? R: COME is not another book of complicated recipes that is going to make you to lose your time trying to find some ingredients or hard elaborating it. COME is cooking easy, cook easy recipes of all life to have a rich and varied alimentation; thats why here you are not going to find design food, you will find normal recipes; Why should you know how to cook complicated recipes if you then have to ask your mother how to cook easy ones, like lentils with sausage? P: In which platforms is it available? 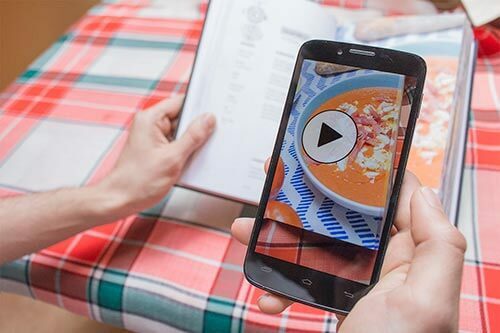 P: How to get a copy of the cooking book and Augmented Reality? We encourage you to know more about CO·ME, and if you want to collaborate with his development you can contact Diego Melero at his web www.diegocreative.com, where you will be able to find other projects he has made.